Christmas is coming! Are you ready? Can you already believe that this season is upon us already? I mean, once you hit September things seem to go downhill pretty fast. September marks the end of summer and the last calm month before the storm of Halloween, Thanksgiving, then Christmas. So it’s really safe to say— have your started your Christmas shopping? And especially Christmas gifts for cats in 2019. It’s so much easier to get those gifts done and out of the way early so you can rest and enjoy the holidays with your friends and family. When it comes to choosing Christmas gifts for cats it maybe something that you have already put a lot of thought and care into. On the other hand, you may have no clue on what to get your cat for Christmas. What is the hottest product on the market for cats? What will your cat want the most for Christmas? Where can I buy it? What IS the best Christmas gifts for cats? I have put together a list to help you decide what will be the best Christmas gifts for cats. There is so much out there now, everything from the best cat tree to luxury cat beds. The best place to start is seeing what your cat already enjoys and build off of that. If your cat loves cozy dark places, perhaps look into cardboard cutout homes. If you always seem to find your feline sleeping in the sunlight, then check out the best heated beds for cats. Whatever your cat enjoys now, the items on this cat Christmas list are some of the prime products that almost all cats enjoy. Take the guess work out of holiday shopping for your cat and instead use that time for those timeless holiday traditions. I tell ya, some cats get all the fun things. 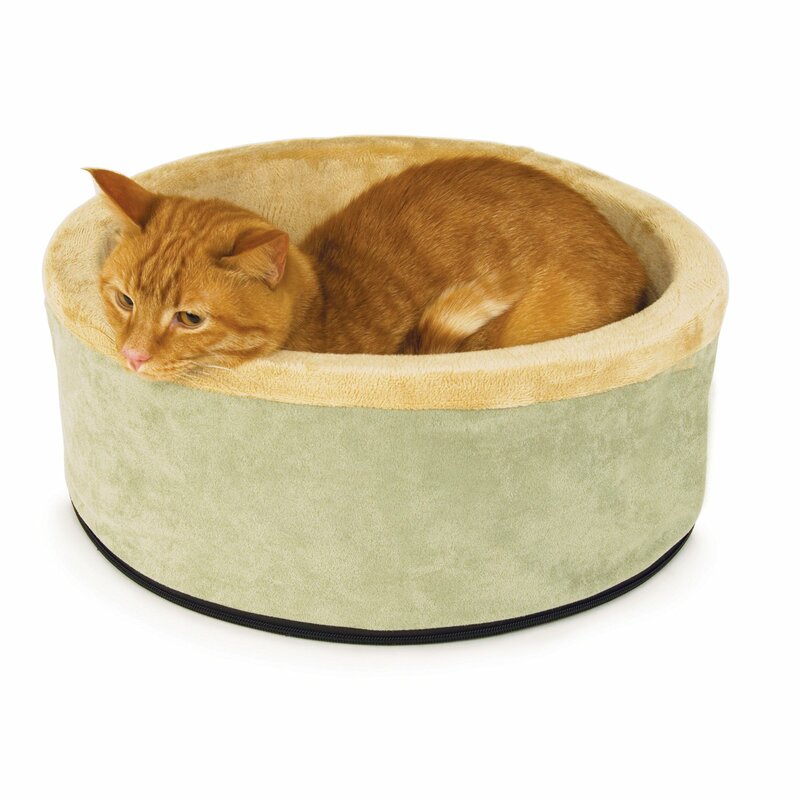 This best heated cat bed is perfect for those cats that love to sleep in the sun. The warmth these beds provide are ideal for the winter season, making it a great Christmas gifts for cats. And not only do they give your pet ultimate warmth, the fabric made for this best cat bed is second to none and compliments the heat perfectly. There are many great heated cat beds out there, but the one K&H Thermo-Kitty Heated Cat Bed is definitely the one you need to write on your to-get list. Recommended for indoor use only, this best heated cat bed uses 4-watt heated to provide not only comfort but also safe use. It provides a safe 10-15 degree temperature rise above the air temperature making it a safe comfortable product for your cat and a great Christmas gifts for cats. The cat bed itself is machine washable so you will be able to throw it in the wash with not worry about ruining it. That in itself is a huge time saver. Available in 2 different sizes for your choosing. A one year limited warranty is also provided with this best heated cat bed for the best Christmas gifts for cats. One of the newer phenomenons in the pet world is the best pet stroller. These are the awesome up and coming products just for your cat or small dog and are on this year’s list for Christmas gifts for cats. If you are one that doesn’t like to walk alone or prefers to have your small pet out and about with you. Or perhaps you have an older pet that still enjoys the outside world but is unable to walk like they used to. This is definitely something you want to look in to. With these best pet strollers you are able to control the your pet with the uncertainties that the outside world may throw your way. All the while, still enjoy the comfort of an easy to use stroller with plenty of leg room. 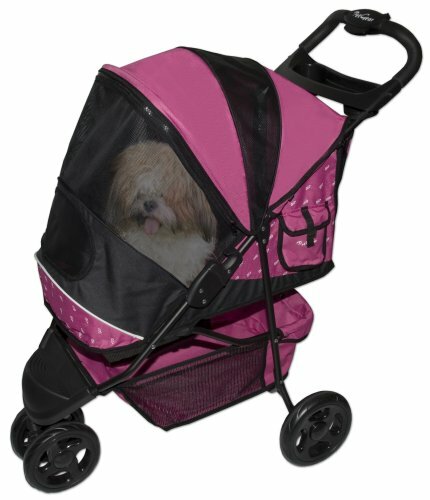 The Pet Gear Special Edition Stroller provides just that. The roomy zippered compartment provides easy access and a comfortable ride. The extra thick fleece padded interior makes for luxurious traveling that may make it quite difficult for your pet to want to get out. The storage bin and parent tray give your a place for all those extra pet devices your may need. With the easy one- hand fold handling almost any person will be able to set up and take down for daily use. Make this apart of your New Year Resolution to not only give your pet more walks but spending much more time together in the most safe way possible. Hammocks are great for everyone— especially cats. These are happy little beds that are created the perfect size for your feline. It will turn those peaceful cat naps into those long 18 hours of shut eye that cats very much desire. With it’s minimalist feel and it’s modern and clean design, the best cat hammocks are created for comfort while at the same time not taking up a lot of room and will make the best Christmas gifts for cats. 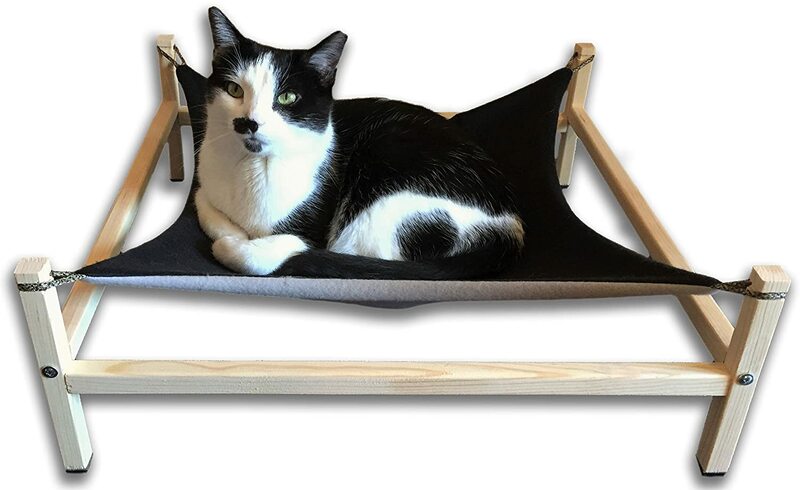 The Suburban Cat Hammock is made with strong beautiful pine and gorgeous soft fleece. 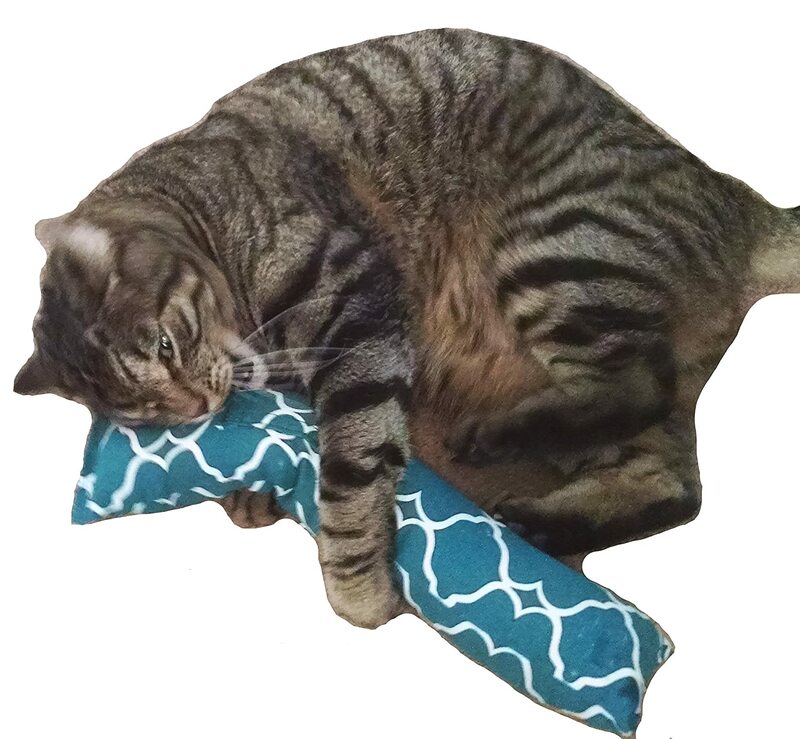 With its easy assembly and machine washable fabric this makes it a desirable product for so many cats (20 pounds and under) and would make a perfect Christmas gift for cats. Along with its beautiful design and comfortable softness, a great company that stands behind its product. Horton Cats Inc. makes a great product and if you are not fully satisfied they stand by their word to offer a replacement. They understand the hard earned money their buyers use to purchase their products and want to makes sure their customers are fully satisfied. Not only that, but they also donate a portion of their funds to rescue and community cats. If you are in the Christmas spirit and looking for a great product that not only benefits you and your cat— take a look at this best Christmas gifts for cats and help your money go further. Cardboard Scratcher for cats are some of the newest up and coming products that are out there! And what’s even better is that these things are pretty cool! It makes this year’s Best Christmas gifts for cats list! They are only a faction of the price of a large cat gym but offer the same great play time for cats. They are also a ton lighter than a lot of the cat gyms as well. A lot of the times the cardboard itself is made out of post consumer recycled materials. The pressed cardboard materials give a strong quality feel without the heaviness of solid wood or particle board. What appeases cats the most about the best cardboard scratcher for cats is the uneven exposed surfaces that allow for scratching for a long time to come. You don’t have to worry about that with these cardboard scratcher for cats! These cats will enjoy the cardboard scratcher from the moment you open the box! 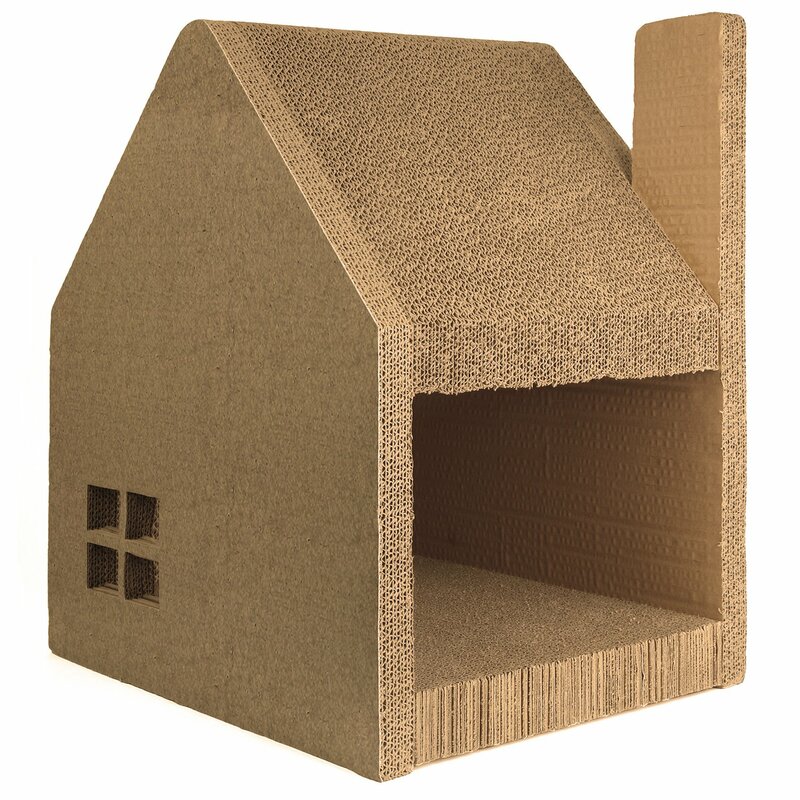 The specific cardboard scratcher I want to focus on is the Jumbl Oversized Cat House. This is a super awesome cardboard scratcher house that offers plenty of room for laying inside and scratching throughout the entire house. This unique cutout has 48 layers of quality recycled cardboard. It is lightweight and sturdy being easy to clean and offering a modern look when it comes to cat houses. The ability to use this entire house as a scratching station for your cats will save you time and money on your furniture, curtains, and other fabric fragile items. This won’t only be a great Christmas gifts for cats, but for you as well. Catnip is an herb from the mint family. Although it is found throughout North America, it’s widely known as a weed. The plant blooms in late spring and continues until mid-fall. The plant itself has a small white blossom. Catnip is covered in a fine oil that is highly sensitive to cat’s noses. Although it is unscented and humans can not pick up any smell, it stimulates the cat’s brain unlike any other. Humans actually use this plant in their gardens to keep away mosquitoes, cockroaches, and termites. If brewed, it makes a delectable tea and can also be used for medicinal purposes. It releases the cat’s brain into a hyperactive state and wears off within 10 minutes. This is a harmless reaction that produces no negative effects. In fact, the hyperactive state promotes exercise. After the 10 minutes (or so) the stimulate wears off as the cat become accustom to it’s scent. But no worries, after about an hour if the cat comes in contact again, a similar reaction can be expected. Kittens and older cats usually don’t have as strong as a reaction as middle aged cats. Interesting Fact: The reaction to catnip is actually an inherited gene. 30% of cats have zero reaction when coming in contact with Catnip. Giving the gift of catnip for your cat will not only be fun for your cat, but also for you as you watch the “other side” of your emerge with initial contact. There are many fabulous kinds of catnip products our there— everything from just plain catnip to a catnip mouse. While you enjoy your Christmas evening with a glass of wine, give your cat the best Christmas gifts for cats with this cat nip. This would make a great gift to give to your cat’s friends. Also would make a perfect cat stocking stuffer! Head over to Amazon to see what kind of great catnip products they have! This is a gift that keeps on giving. 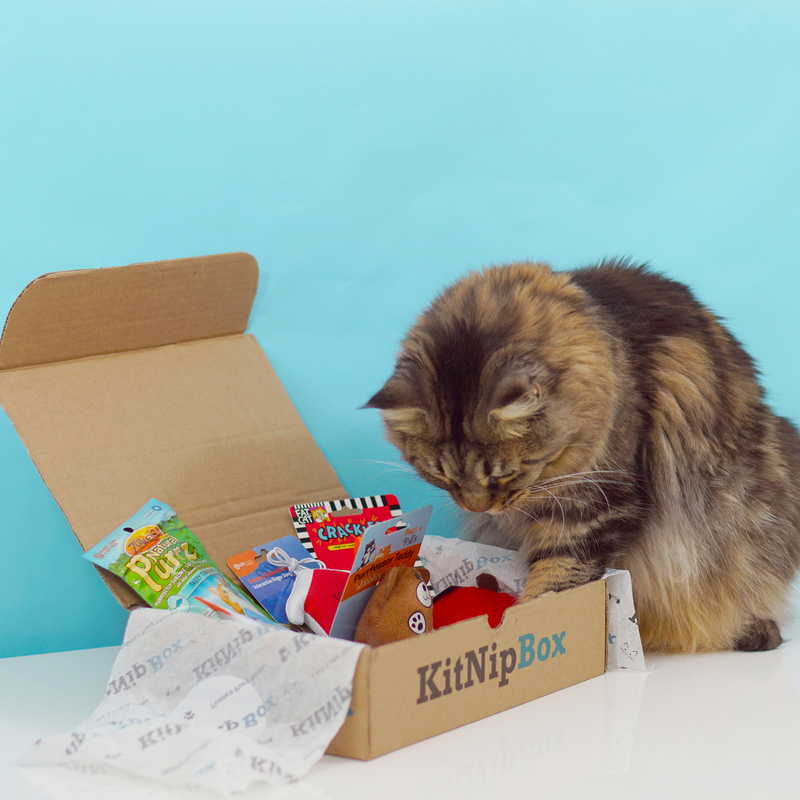 An up and coming monthly cat box is just what your cat wants this Christmas. Sign up to receive this monthly box with all sorts of varying gifts and samples. These gifts and samples vary anywhere from treats, to toys, to health products. Many of these boxes range in price from $15-30 a month depending on which type of box you are wanting to get. This makes it ones of the best Christmas gifts for cats. The biggest benefit of these boxes is once a month being able to open your mailbox and seeing these boxes sitting right inside for you (although sometimes these boxes are even too big to fit inside the mailbox). It’s like a sweet kiss of happiness every month and gives you just a little something to look forward too. In my case, it seems that these beloved boxes come on the worst day which in turn makes my day that much better. The specific company I want you to look at is the KitNip Box. They offer 2 different kinds of boxes, on ideally for one cat and the second option for multiple cats. They support numerous organizations with their funds making it a gift you can feel good about making this not only the best Christmas gifts for cats but for cats all around the world. The high quality products carried in their boxes is something you won’t be disappointed with. This would be a great Christmas gifts for cats! The fun and festive toys will be well worth the cost of the monthly subscription. You will be able to try out different cat treats or health products before spending a ton of money trying to find the “perfect one”. Give your cat (and yourself!) a gift throughout the year! This will be a great treat for your cat each month! Of course I couldn’t make a Christmas Wish List without adding cat trees to it! This site is full of examples of great cat trees that would be a great Christmas gifts for cats. Any of these trees reviewed on this site would be awesome for your cat. 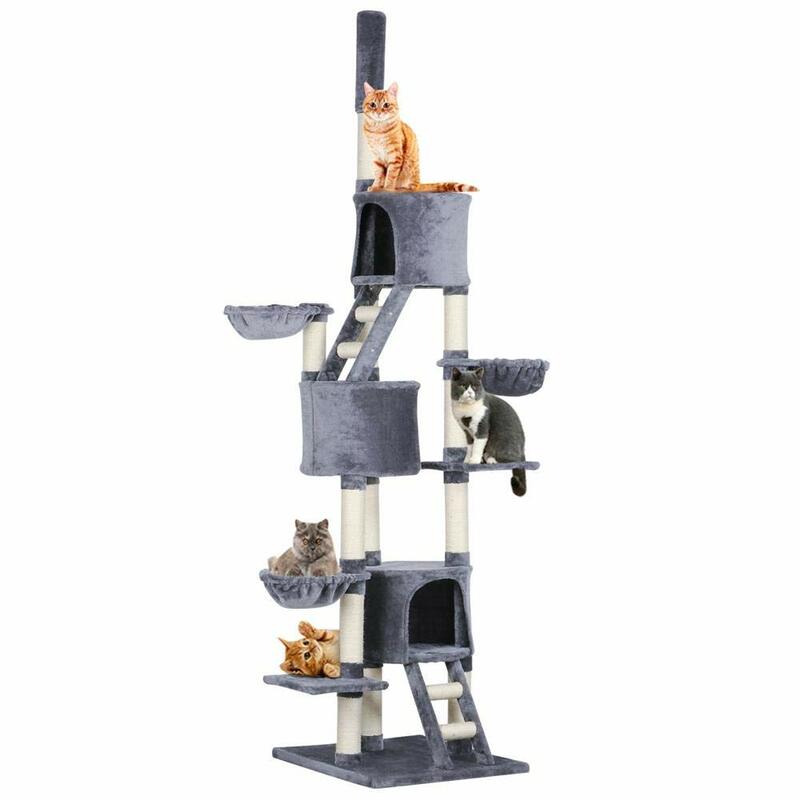 Whether you are looking for the best quality cat trees or cat trees that look like trees be sure to check out all the pages to review a cat tree that would be perfect for you. Only the best of the best cat trees have been reviews for Reviews For Meow. Of course, there are a ton of different option out there you can choose from— those with scratching posts, hideaways, a lot of perches, etc. Watch your cat’s personality. Does she like to climb high? Get a high cat tree! Does he like dark, cool rooms? Get one with an enclosure! No matter where you are buying your cat tree from, make sure you are doing your research and read reviews on the product. There is nothing worse than getting a cat tree and it falling apart a couple weeks or months later. It’s a waste of time and money! So skip that part and read through our site to find your best cat tree reviews! Get your cat the best cat tree which would be one of the best Christmas gifts for cats! Does your pet often give you a heart attack because they like to run away and hide? It may be time to get a GSP tracker collar for them. It’s super handy living in an age with affordable high end technology. Now all we have to do is add this awesome collar on our pets so we not only know their whereabouts but also their activity details. No longer to we have to drive around the neighborhood calling for our pet, hoping that they are still alive and presumably just playing an advanced game of hide and go seek. 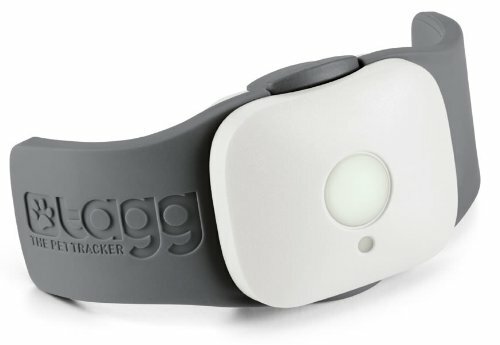 With the Tagg GPS Collar you are able to do just that. Email alerts are able to be sent to your phone– iPhone or Android compatible. When buying the collar you get to enjoy the first 2 months of tracking service for free. The battery lasts up to 10 days before being in need of a charge. It is durable and waterproof which only adds to the quality of this product. The newest feature involves an activity goal tracking. Now you can watch your pet’s activity levels and make sure that they are getting the best amount of activity each day. This will help with their health immensely making it one of the best Christmas gifts for cats. Do you often find your cat drinking out of the tub facet? The sink? Or even worse, the toilet? It may be time for a cat drinking fountain. Cats can be really picky about the water that they drink, and why shouldn’t they? Water is the most needed thing cats need (as do we humans). My own cats have been known to be super picky by wanting ice cubes in their water. It doesn’t take much to get fresh drinking water with this cat drinking fountain. Studies have found that cat’s enjoy running water best. It gives off a sense of freshness that still water does not have. Seeing as water is so important to a pet’s daily living, it goes without saying that making this Christmas gifts for cats would be an excellent benefit for daily health. The charcoal filter allows for freshness and good tasting water. It will filter out all that nasty stuff like dirt, bugs, and other debris. 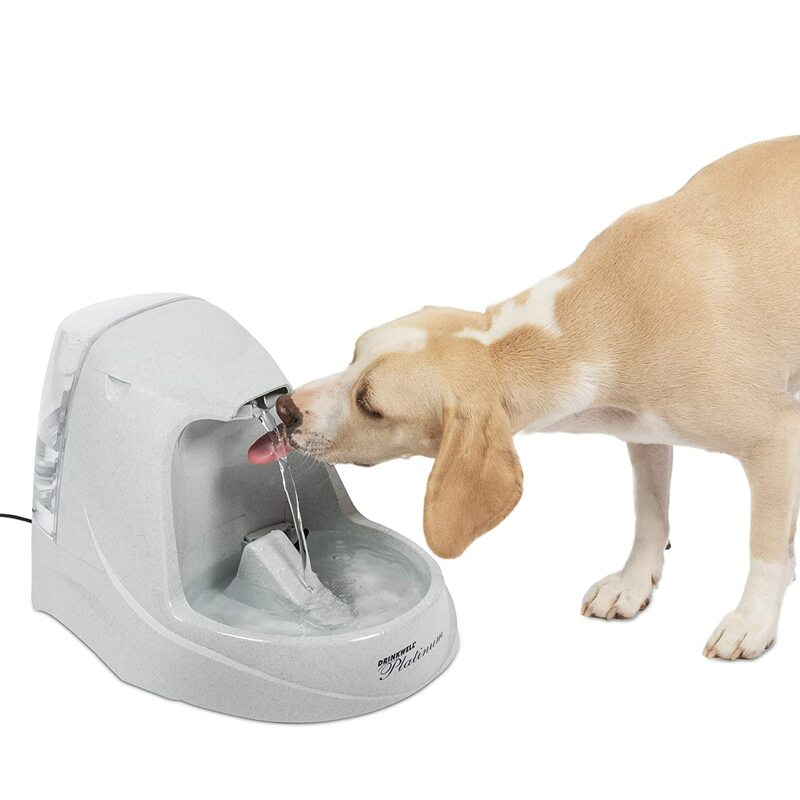 The main cat drinking fountain I want to focus on is the PetSafe Drinkwell Platinum Pet Fountain. With 4.5 stars and almost 5,000 reviews it’s clear to see that this cat drinking fountain is a sure favorite. The quiet and safe drinking well will only promote better drinking habit leading to a better lifestyle. We give this an A+ for Christmas gifts for cats! Are you short on time this year and just can’t make it to the store to get the best Christmas gifts for cats? Cat gift baskets to the rescue! Skip fighting those lines at the store. Forget going out on Christmas Eve to pick from what is left. Just click through to Amazon and order one of their several cat gift baskets! 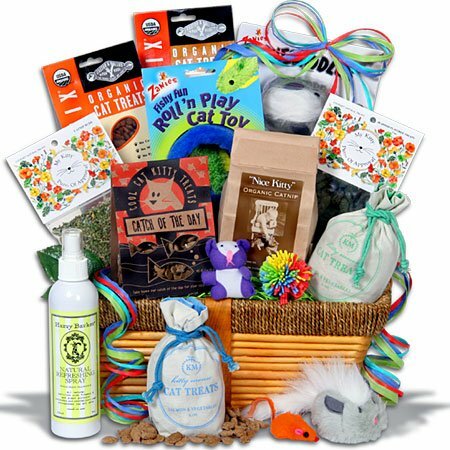 All their gift baskets come packed with ideal cat gifts ranging anywhere from treats to toys. These are all neatly packaged together in a beautiful gift basket perfect for giving to your cat. Express shipping is also available as a low price to help get there just in time for the holidays. The holidays only last a short amount of time, why waste that time running from store to store trying to find that perfect gift for your cat when this basket will provide all of that. Spend all that extra time with your cat and all your family and friends. Play some games, make some cookies– enjoy the holiday! Whatever you decide to get your cat just know that it will be perfect either way. Our pets only desire one thing from us– our love. As long as we are doing that you can bet that we are on their ‘Good List’. Take this time to enjoy all those that are in your life, including your cat. These times are fleeting and before we know it the holidays will be over. I wish you and your cat the happiest of Holidays and a great New Year!